This week we’ve listed 1,000+ soul, funk, jazz, Latin, modern, r&b and related LPs. 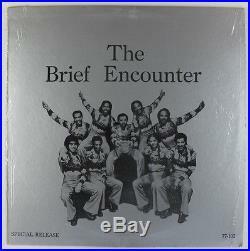 Brief Encounter S/T (Seventy-Seven) US pressing. Vinyl grade: VG+, very slight edge warp DNAP, light label wear. Cover type/grade: standard album jacket, VG+. The item “Brief Encounter S/T LP Seventy-Seven Rare Sweet Soul Funk VG+ MP3″ is in sale since Sunday, March 12, 2017. This item is in the category “Music\Records”. The seller is “carolinasoul” and is located in Durham, North Carolina. This item can be shipped worldwide.